Your customers go everywhere; shouldn’t your analytics? Google Analytics shows you the full customer picture across ads and videos, websites and social tools, tablets and smartphones. This makes it easier to serve your current customers and win new ones. Setup personal email or your own custom business email with Google-powered search, up to 30GB of storage, offline support, custom email addresses, and much more. Google Drive allows you to store your files in the cloud, share them, and access them from anywhere. 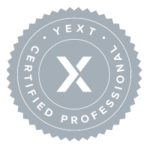 Create, share, and work on documents with your whole team in real-time. You can edit your text files within Google Drive online without needing Microsoft Word. Edit your text / worksheet files within Google Drive online without Microsoft Excel. We provide Google Apps consulting to those that do not currently use Google or Google Apps as well as for those that already use Google Apps. If you have any questions about Google or online apps we’re here to help! Our clients are normally small businesses that need someone to help setup and market their business. We’re experienced with Google Apps such as Gmail / email, calendar, docs, sites, groups, forms and video. Whether it’s helping one of our clients set up Google Apps, monitoring customer service emails, or creating projects and delegating tasks to employees that can be monitored from a central location, we have you covered. If you’re a business seeking a low-cost, cloud-based alternative to traditional software applications, then you’ll love the Google Apps product suite. There is an app for everything you need for a successful business in the Google Apps Marketplace. We’ll listen, customize to perfection, and meet your needs successfully. Based on our in-depth knowledge of the Google Apps Marketplace, we can consult, integrate, and provide strong support for the different applications. Google Apps require no software or hardware that eventually results in minimal administration. When you collaborate with Google, rest assured that your data is safe. Google Apps improves productivity with collaboration on documents and offers hundreds of additional add-ons that will help your company thrive. 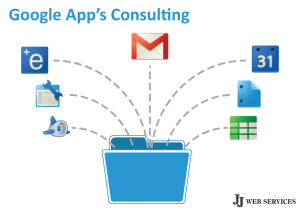 We provide Google Apps consulting support for our current and prospective customers. Contact us and we’ll be happy to help your business run more efficiently.